As experts in the field of security systems, GLD security offer a service whereby we supply, install and fully maintain access control systems throughout Edinburgh and it’s surrounds. In our experience we find Access control systems to be most effective in keeping assets safe and prevent unauthorized visitors from gaining access to areas that are private and off limits. Access control systems can be either installed as a standalone system or we can connect it to your computer, enabling you access from your PC or MAC. Our systems allow you to gain access by using a simple code, fob or card. By in large, we tend to find large commercial premises can really see the benefits from utilizing access control systems. 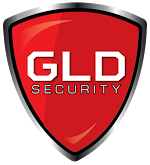 At GLD security, all of our systems come with a full guarantee and ongoing maintenance and support. We pride ourselves on offering the best service both due to our highly secure systems and our friendly and approachable attitude to our work. If you can see the potential in having an access control system offer your business further security, we would love to hear from you.